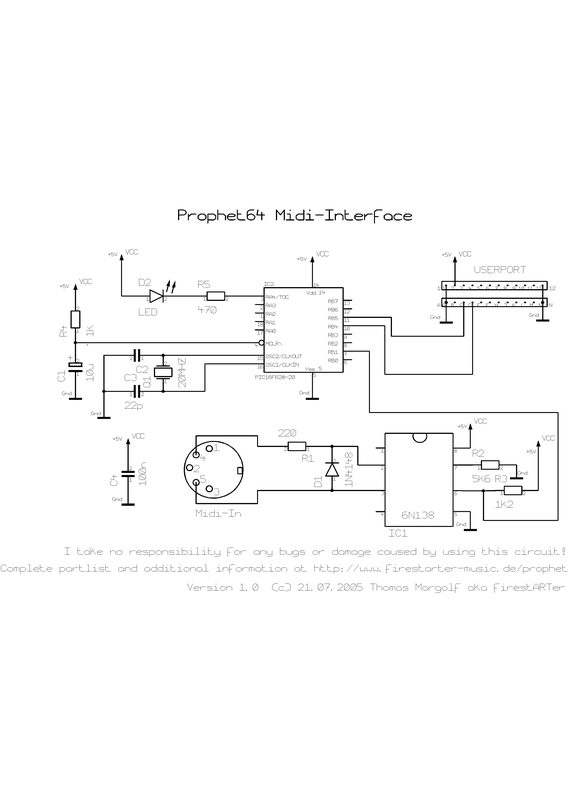 INFO The PROPHET64-Midi-Interface is a Midi-Box add-on which makes it possible to syncronize your PROPHET64 software on your C64 via MIDI. 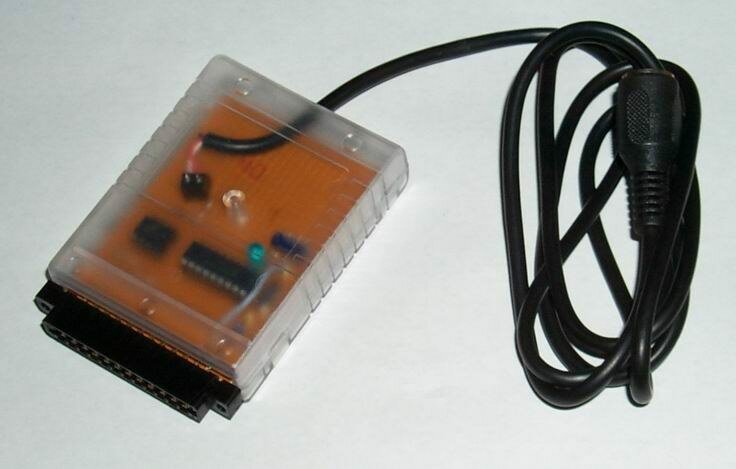 It works with every Midi-Clock-Master-Device like a sequencer or a drum-computer. Join the PROPHET64-Forum to get all latest information and to get answeres to your questions! 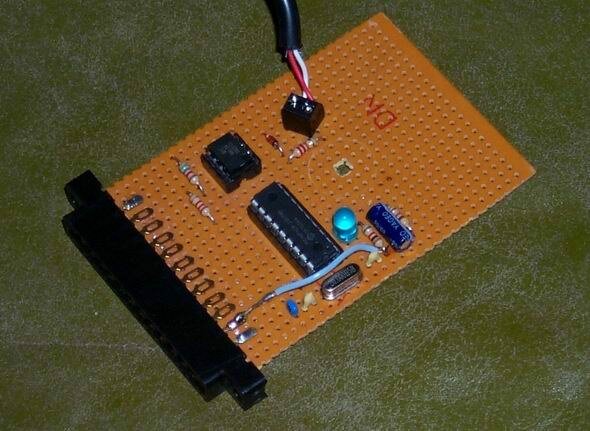 need To build the PROPHET64-Midi Interface you need a PIC 16f628 microcontroller with a special software burned on it. If you can't burn the PIC, I offer you to burn it for you. Just contact me for more info! Check the timetable for the latest changings. I take no responsibility for any bugs or damage caused by building or using the PROPHET64-Midi-Interface!!! For any questions just contact me. Building a PROPHET64 Midi Interface could look like this or this.